The Chrono 4 collection, whose four horizontal subdials have been a patented exclusive for more than ten years, welcomes a new Colors edition as a 600-piece limited series. Still with the balanced aesthetic that is one of the distinctions of an Eberhard & Co watch, this latest reference introduces a new design twist with splashes of bright colour. 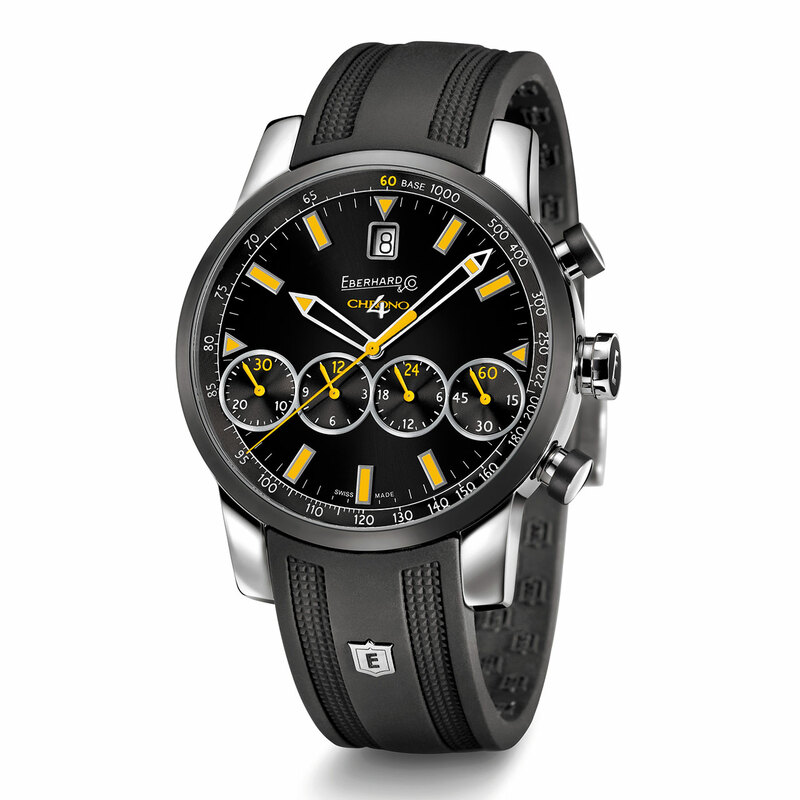 In addition to a 43mm steel case, Chrono 4 Colors features red, yellow, green, blue or black luminescent hour-markers that stand out against the black, sunbrushed dial. Identical colours highlight the four snailed subdials, the centre seconds hand, and the Chrono 4 logo on the dial. The bezel makes its mark in black, made possible by the patented DLC-Dianoir® coating that ensures greater resistant to surface scratching.